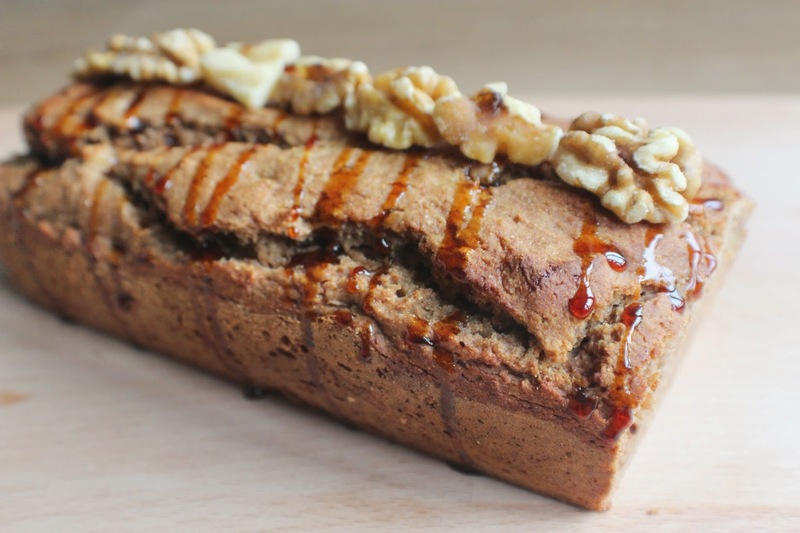 A wee while ago you may have seen my Banana, Caramel & Tiger Nut Bars recipe using Tiger Nuts tiger nut flour, milled from Premium Organic Tiger Nuts on their farm in Spain. 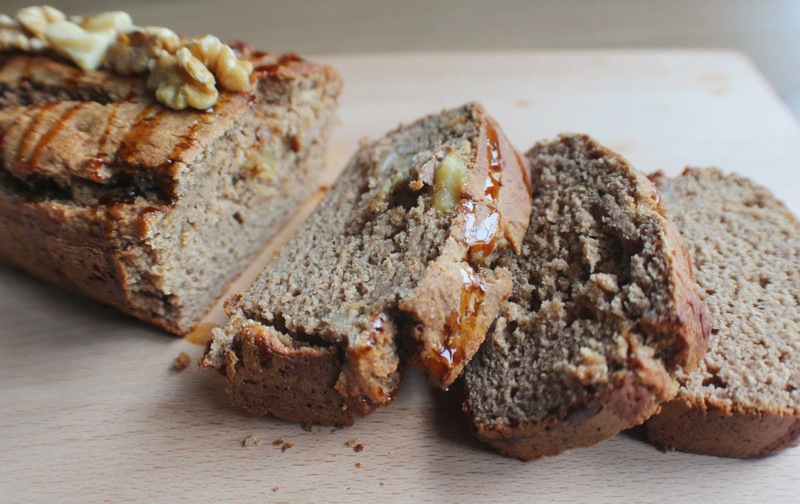 Offering a wonderful nutty flavour to recipes, this time I have used it in another banana-based recipe (this combo works amazingly well! 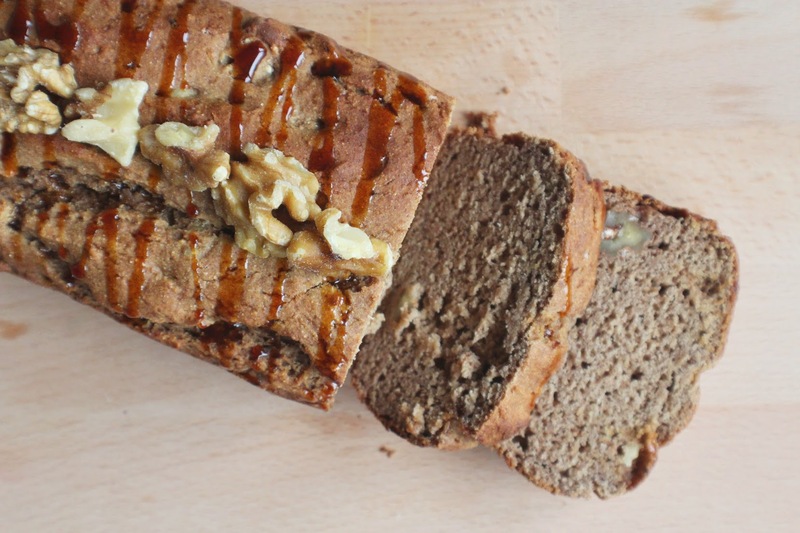 ), a substantial loaf packed full of goodness from dates, linseeds, walnuts and nut butter. 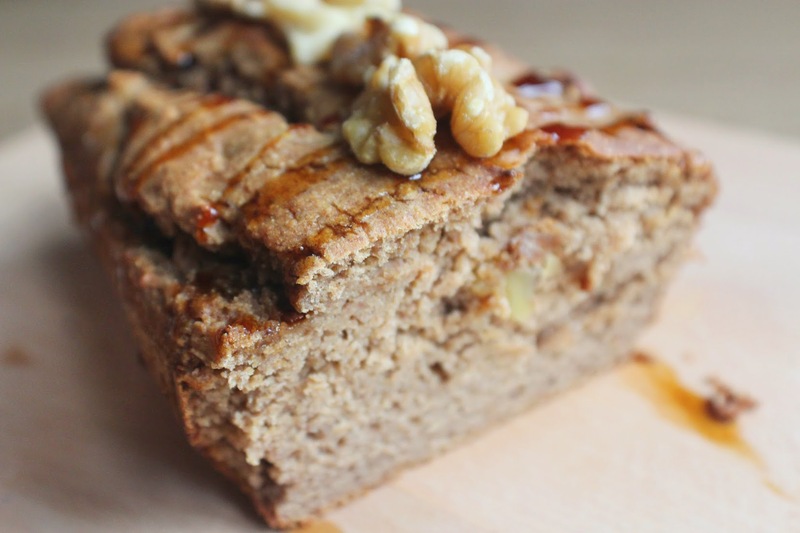 Enjoy for breakfast or as a snack when energy levels are suffering – a slice of this is sure to perk you up! Place the bananas, dates, nut butter, almond milk and vanilla in a blender (I use my Nutrininja Auto IQ) and whizz up until smooth. Mix together the flours, lucuma powder, coconut sugar, cinnamon, baking powder, flaxseeds and chopped walnuts in a bowl. 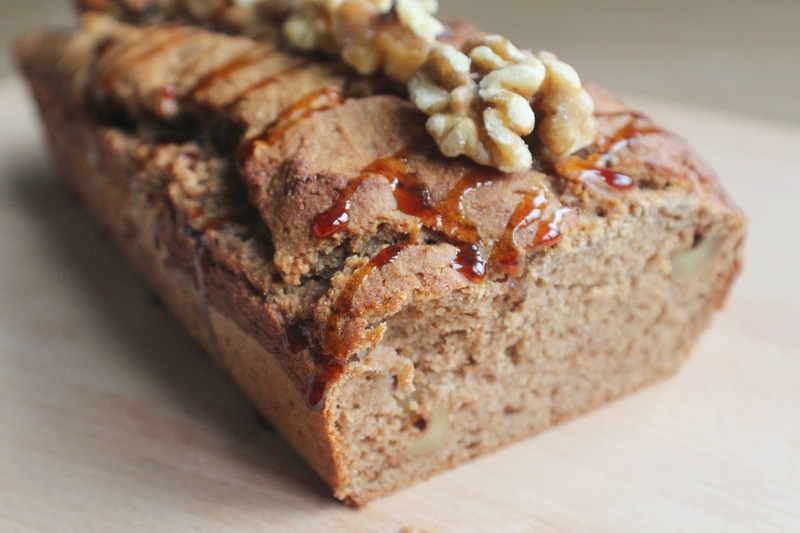 Pour in the banana mixture and stir to combine – you should have a smooth and quite thick batter with nice chunks of walnuts distributed throughout. Spoon this into your loaf tin, smooth out the top and bake for about 40-45 minutes, until risen and golden brown (cover with foil halfway through baking to prevent burning). Leave in the tin to cool, then turn out onto a board and drizzle with a little more date nectar and add a few more walnuts on top. Slice up and dig in! Keep any remaining slices in an airtight container in the fridge for up to 2 days.